The researchers conducted the experiment with the help of a large Swiss consumer goods company. In a nutshell, they had sales reps hand out free product samples (like tubes of toothpaste) on a randomized basis as they visited their customers, who were mostly purchasing agents and store managers. Then they looked at whether the gift-giving correlated with the size of the purchase. 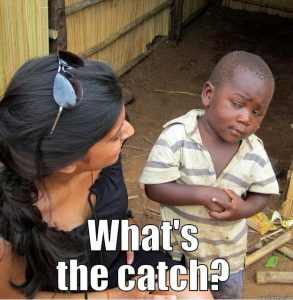 What did they find? 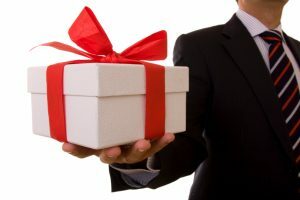 On average, starting the negotiation with a gift had a big positive effect on the size of the sale. But that average masks an important caveat: the gift only helps when the sales rep and the customer already know each other! If it is their first time meeting, starting the negotiations with a free sample actually made things worse. You don’t want to change your whole business on the basis of one study, but naturally this information made me reflect on our strategy. Could we be turning potential clients off by offering something free too soon? It made me think of the people who hover around touristy places trying to hand out bracelets and trinkets as “gifts”, only to ask for money a moment later. When people see an advertisement for a free lunch, they are right to be wary. There ain’t no such thing. We are Ethical Digital! We don’t want no aspersions being cast on us! Does this mean we should ditch our sales strategy based on generosity and instead adopt a strategy that is purely transactional? The paper makes another important point: free samples are different. While yes in the study the gifts were technically free samples, there was no opportunity for the customer to try the sample before making the purchase. A sample’s not really a sample if you don’t get to sample it. By contrast, if someone hands you a free taste to persuade you to buy a meal, it doesn’t come across as a bribe. Rather it reduces the customer’s risk by letting them try before they buy. So what are the lessons for Ethical Digital? I’m still digesting it, but I think it helps to think about our freebies as samples. If we give a prospective customer a free marketing guide, sure it’s a gift, but it also lets us demonstrate our own domain expertise. 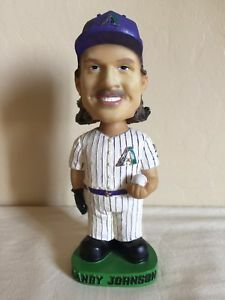 If we handed out free Randy Johnson bobbleheads, that would be both bewildering and counterproductive, because it’s not a sample of our goods. The other big takeaway is that gifts are fantastic once the relationship is established. At that point the gift serves its proper function as a gesture of goodwill and friendship. So we shouldn’t be afraid to take our clients out to dinner, send them a holiday card, or surprise them with a Randy Johnson bobblehead. We all love a good time, and it feels great to give gifts. And best of all – we can expense it!